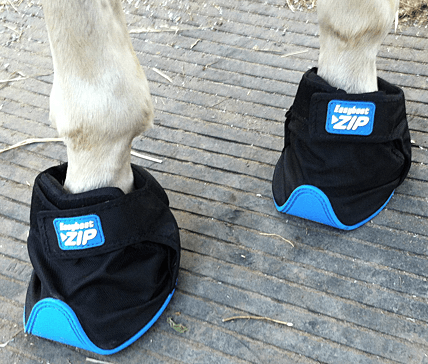 The unveiling of EasyCare’s Easyboot Zip makes glue prep efficient and effective. The Zip is easy to apply and remove. 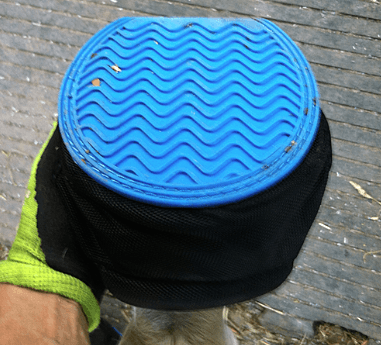 The Zip's features include breathable nylon material; Velcro straps, to keep the boot in place; a leather pad for the sole side of the foot, to absorb moisture; traction on the bottom of the boot; and various sizes, from sizes 0-4. This horse is wearing two sizes of Zips. The right foot is in a size 3 and the left foot, size 2. 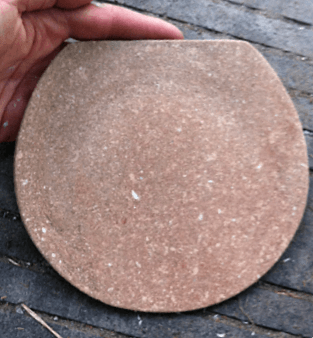 The size 2 is too small; the size 3 is a better fit. 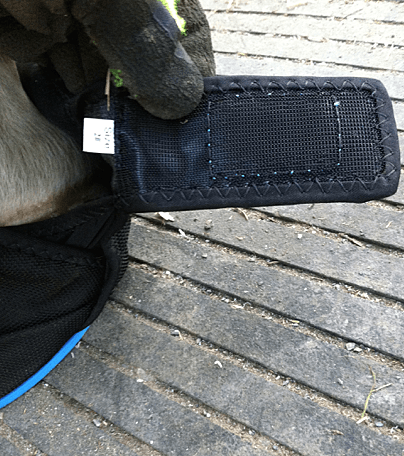 Velcro straps make application quick and easy and ensure that if the horse moves the boot will remain in place. 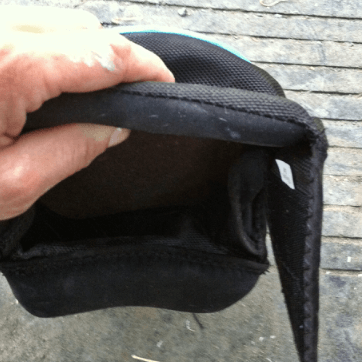 The Zip has padding placed behind the heel bulbs and in the front of the foot, near the coronary band, to protect these sensitive areas, particularly if the boot is used for temporary protection when medicating the foot. 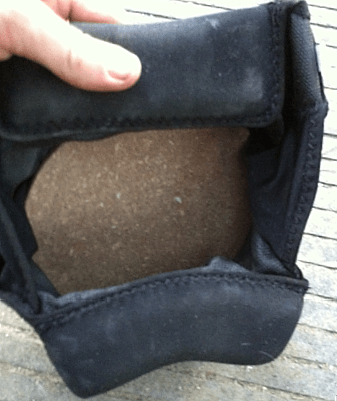 The leather insert, used to absorb moisture and prevent "sweating" (important in the case of glue prep), can be removed and the boot can be machine washed. The tread on the bottom of the boot adds a bit of grip for less than ideal conditions, where traction might be a concern. I ordered my first pairs of Zips as soon as soon they were on the market and have been using them for glue prep since. Gone are the days of improvisation, of using paper towel or plastic bags, my attempt at keeping the foot clean before applying a glue on shoe. 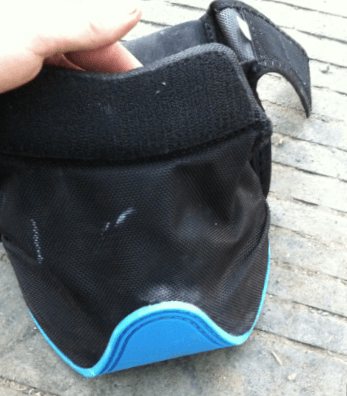 When my foot is prepped, clean, dry, and ready for a glue-on shoe, it stays that way thanks to the Easyboot Zip. Set yourself up for success when gluing on shoes—invest in some Easyboot Zips. Proper preparation prevents poor performance.